Cosmetic dentistry is one of the branches of medical aesthetology. 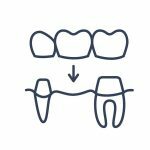 The main objective of cosmetic dentistry is to improve the appearance of the teeth, having a real effect on the physical attractiveness of the patient. In addition to prophylaxis, treating the diseases of teeth, periodontium and oral cavity, contemporary dentistry also aims to make a smile more beautiful. Cosmetic dentistry can correct any imperfections in the appearance and functioning of the teeth. With cosmetic dentistry treatments, a beautiful whiteness of teeth can be achieved regardless of the initial colour of the teeth. If the teeth show signs of discolouration caused by lifestyle (consuming certain foods, coffee, wine or smoking), they can be whitened with a specialist Beyond Polus lamp. 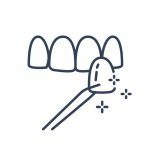 Hygienisation treatments such as scaling, sandblasting and polishing are also helpful, as they help remove deposit and tartar from the teeth. If teeth have permanent discolouration, all-ceramic veneers or crowns can be used. These solutions are also used for teeth that are dead or have a naturally yellowish colour (one of the natural shades of the dentine). In our clinic, we can correct the shape of teeth using veneers, all-ceramic crowns or orthodontic braces. 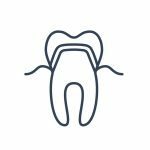 The choice of the right solution is made on a case-by-case basis and must be based on the condition of patient’s teeth. The condition of the teeth essentially affects the appearance and shape of the face. With age, the volume of subcutaneous fat is reduced. 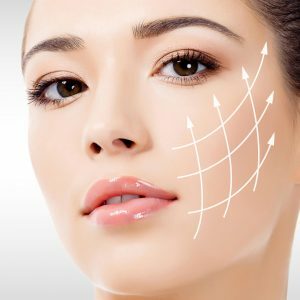 In the case of bone loss within the jaw (generally due to lost teeth), the skin in these areas may sink in, resulting in facial ageing. Reconstruction of teeth and bone structures provides support for soft tissues and allows your face to be modelled and rejuvenated without resorting to plastic surgery procedures. This procedure is called dental lifting and requires a lot of experience of the doctor. Our clinic is one of the few in Kraków to offer dental lifting. Face modelling can also be achieved by orthodontic treatment. 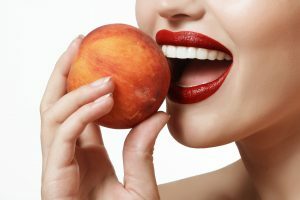 Sometimes it is an initial stage before subsequent cosmetic dentistry treatments, while sometimes just the improvement of the bite is enough to achieve satisfactory results in facial shape correction. Lost teeth are not just a beauty issue. They can lead to a number of diseases (especially of the digestive system), headaches and malocclusion. At our clinic, we pay equal attention to successfully restoring the functionality of the stomatognathic system and achieving a beautiful smile. To replace missing teeth, we use mainly dental implants on which ceramic crowns are set.